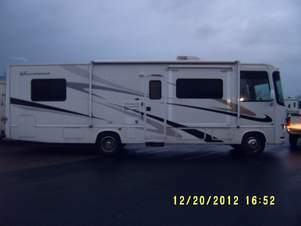 Nice, low mileage 31' Unit priced to sell. additional features that are not listed include: 6 gallon water heater, 42 gallon water storage tank, Heated gray and black water tanks, custom fabricated and installed trailer hitch, generac generator with low hours, 30 amp power cable with multiple adaptors, waterhoses with splitter and regulator. Contact me and let's make a deal.